Photo by Michael Sundue © 2002 at gorge of Río Piraí. 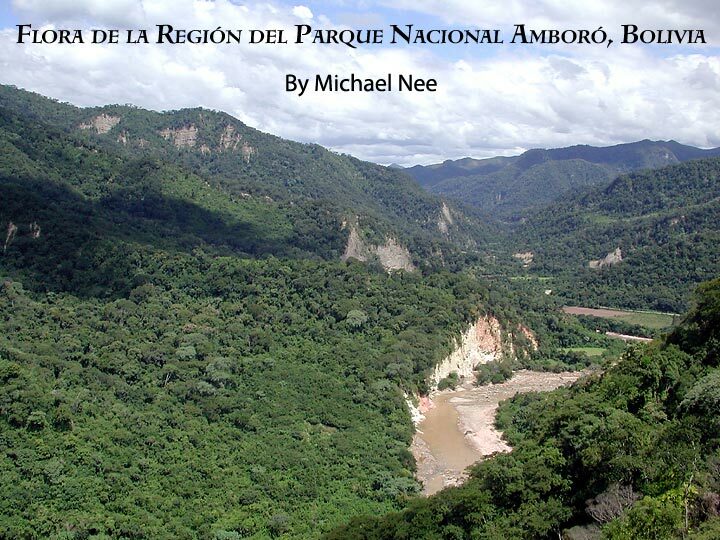 Amboró National Park in Bolivia is one of the most botanically diverse national parks in the world. The list of vascular plants now totals about 1200 genera and 3000 species, and just for the Angiosperms there are 1126 genera and 2800 species. The floristic diversity is correlated with the great vegetational diversity.